I’m always on the look out for how artists represent the ocean and in that search recently came across Wolfgang Bloch‘s work on the web and in his book ‘Wolfgang Bloch: The Colors of Coincidence‘. Wolfgang is a California based painter who has an interesting approach – he uses juxtaposition of materials as the substrate for his paintings which are often two solid fields of color with a breaking wave at the meeting of those fields. 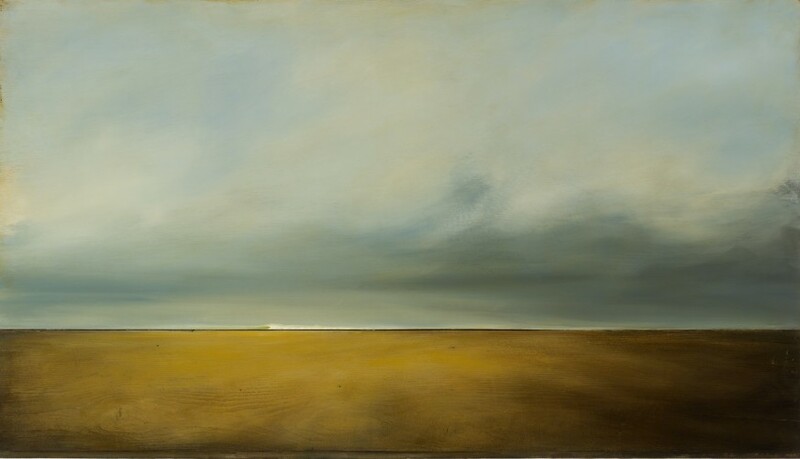 His work is subtle and quiet and looking at it I can easily imagine being along on a stormy beach looking out to sea. Check out more of his work here: www.wolfgangbloch.com and listen to Wolfgang talking about his work below.